There’s something undeniably odious about the word basement. It unfailingly conjures up a spine-shivering image of something drafty, claustrophobic and dark. 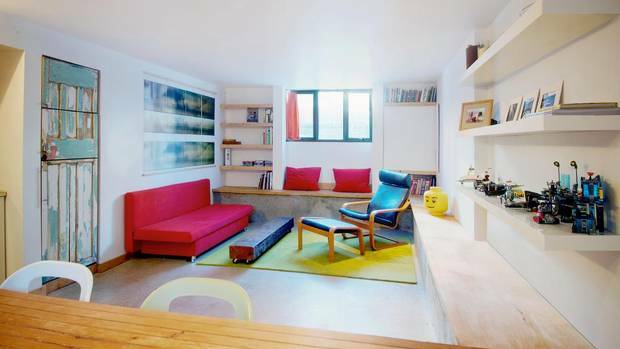 But subterranean living spaces offer an important opportunity to accommodate Canada’s shifting housing needs. They work well as in-law suites for downsizers, income rentals for empty nesters or extra sleeping quarters for families who’ve outgrown their current house but can’t afford a larger one in the country’s ever inflating real estate market. 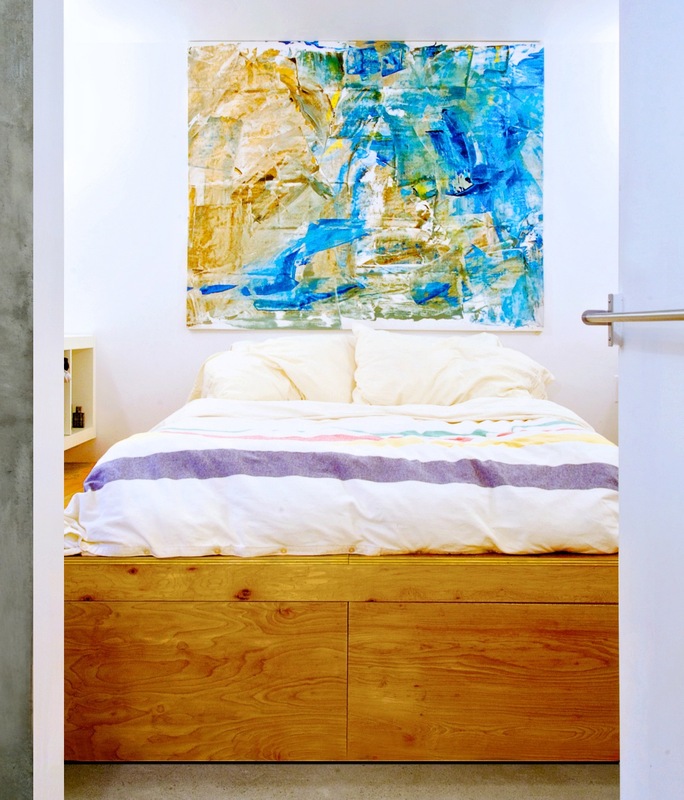 And, with the right eye for aesthetics, a basement apartment can be bright, airy and beautiful. It just takes the right lighting, wall finishes and window wells. Here, five tips from top design professionals on how to turn an underground grotto into something glorious. According to award-winning Toronto-based architect Paul Raff, the best way to create a basement that doesn’t resemble a cave, aside from ensuring the space is well insulated and therefore not dank, is to bring in adequate light and afford views of something other than a “grey and horrible, corrugated steel window well.” When building a house from the ground up (and where space allows), he tries to “manipulate” the landscape into a garden-covered embankment that peels away the earth from the foundation walls. Depending on its depth, the incline can allow for larger than average windows that look out to a beautiful bit of greenery. In space-cramped urban lots or for renovations where regarding the grass isn’t an option, simply switching up the material of the window well can significantly improve the view. Architect Robert Kastelic, principal of the design firm AKB, suggests textured concrete, stacked stone or a sleek metal plate. In a recent project in downtown Toronto, architect Nolan Natale, principal of Natale and Scott Architects, lined the window wells with mirrors to help reflect extra light into the subterranean bedrooms. Like window wells, stairs are an important tool for bringing light down below. When industrial and architectural designers Timothy Mitanidis and Claudia Bader, co-founders of Toronto’s Creative Union Network, were renovating their 130-year-old Victorian semi to include a basement rental unit, they eschewed the typically Dickensian exterior staircase (the type that’s about 15 centimetres wide, made of cracking concrete and featuring a rusty old handrail). Instead, they terraced a series of one to 1 1/2 metre wide stonewalls that step gracefully from the backyard to the basement’s door. The generous landscaping not only creates a mini patio for the tenants where they can sit out in the summer, but allows for a bigger entryway that’s fully glazed and floods the unit with light. “It just helps make the space more livable,” Mitanidis said. For interior stairs, both Raff and Kastelic suggest that wider (one to 1 1/2 metres, say) is better because it creates a more welcoming feel and allows for light to spill down from the main floor, especially if there is a window or skylight nearby. Bjarne Pedersen, a lighting design consultant who teaches at Toronto’s Ryerson University, notes that while natural light is the best way to make a basement more comfortable, there are clever ways to use artificial luminescence to simulate sunshine. One is to rim the ceiling with recessed, LED cove lights that wash the walls in an even glow. “Well-lit walls simply make a room feel larger,” he explains, especially if the ambient illumination is used alongside thoughtfully placed spot and task lighting. For the top tier radiance, Pedersen recommends checking the Colour Rendering Index (CRI) before purchasing any fixtures. The closer the CRI is to 100, the more natural the light will appear. For the ultimate sun simulator, though, Pedersen suggests Parans, a system where sensors are attached to the outside of a house to collect and transmit, through fibre optic cables to an indoor ceiling panel, the exact quality of daylight at any given time – be it overcast, slightly cloudy or full-on blazing. Oftentimes homeowners don’t put a lot of thought into the materials they use to finish the basement (especially, let’s face it, if the space is intended as a suite for the in-laws, a nanny or a tenant). But extra care while selecting flooring tiles, countertops or wall paints can make an underground living area feel less foreboding and more fabulous. Although Kastelic prefers a subdued palette for the majority of his above-ground projects, with basements he “often uses pops of colour to make them feel brighter.” It’s an approach that Mitanidis and Bader have also taken: The apartment under their house is predominantly white – to make the place feel larger – but has punchy hues such as a Ferrari-red kitchen and thoughtful touches, like cabinetry and millwork made from reclaimed wood that adds a sense of warmth and history. Pedersen also suggests that picking the right finishes can help improve a lighting concept. “Some ceiling paints are 90 per cent reflective,” he points out, “so the light just bounces around and around and around the room,” which helps reinforce a sense of openness. Raff mentions, it was “only two or three generations ago” that many basements were not only unfinished, but had dirt floors and seven-foot ceilings – the lasting effect of which is that many people still think of what lies down below as little more than a dank crawl space. To help “change the psychology” of this, Raff suggests that in new homes, the basements should have ceilings a foot or more taller than the standard eight-foot height. That way, the basement actually has a sense of expansive luxury. “It makes an enormous difference,” notes Raff, referring to a project he recently completed where the basement guest suite feels every bit as high-end and capacious as a five-star hotel room. This piece originally appeared in the Globe and Mail on Thursday, September 5, 2013. This entry was posted in Shelter Skelter and tagged AKB, Architecture, Basements, Design, Globe and Mail, Lighting, Paul Raff, Toronto by mmhague. Bookmark the permalink.